Rize is an Oracle silver partner. With over a decade of experience in providing enterprise database services to clients globally, we are well positioned to offer Oracle Enterprise Integration services with the promise of reliability and long-term support. Rize has a team of highly experienced oracle certified engineers to plan, design, implement and support enterprise database, application and infrastructure needs to achieve optimum business results. We have strong expertise in working on Oracle Databases from implementation, migration to working on DW, BI & cloud. 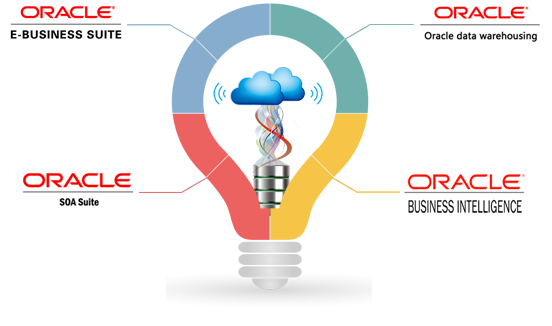 Rize has implemented and upgraded oracle E-Business suite to many SME and large enterprises. Our experience in Oracle ERP solutions helps clients to implement business process transition with faster ROI. Our knowledge of Oracle SOA will simplify cloud, mobile and IoT integration providing a unified experience and seamless connectivity. Our team of certified professionals will ensure integration of on-premise and cloud applications. Rize has significant expertise in clinical trial, clinical data mgmt., Pharmacovigilance, Clinical Data Warehousing and analytics solutions.